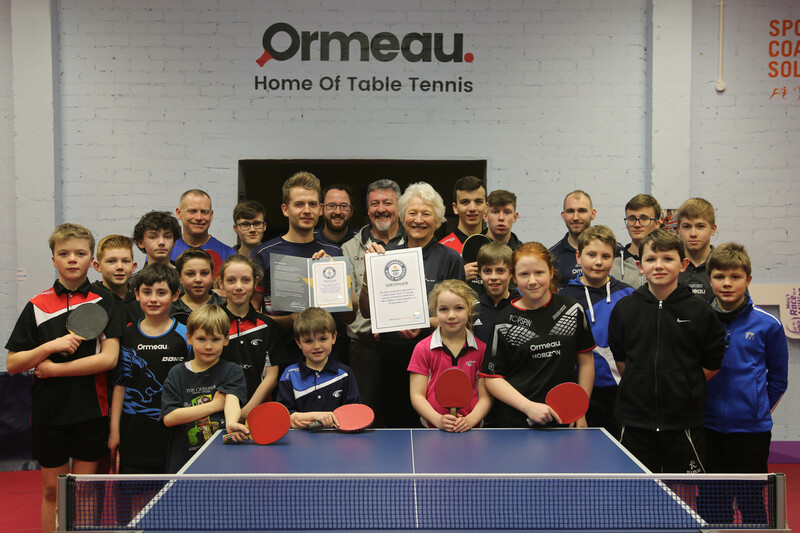 The Mary Peters & Ormeau Table Tenis Club club has written its name in the world record books as they broke the record for the most consecutive opponents in a table tennis rally on Thursday 28th September. The previous record stood at 108 and was achieved by Stephen Gertsen and the Ipswich & District Table Tennis League in Ipswich. But on a Thursday evening, Keith Knox from Ormeau TTC stretched the record to 112! "It feels amazing to have broken the record," said head coach Keith Knox, who anchored the world record attempt by hitting the ping pong ball back to each individual participant.